It aims to bring about change in how our Government responds to the crisis we face in the lead up to Budget 2011. At this time the key to recovery is a credible plan for job creation which will inspire hope and confidence. Many of you have told us of your desire to demonstrate and ensure that the VOICE of Older People is heard at this crucial time for our Country. The Parliament wants to ensure that we engender a spirit of solidarity across the generations. Only together can we repair the damage and work constructively to make this an island for young, old and all ages to live and fully participate in our society. It is a critical moment to give expression to solidarity between all peoples on this island. The National Demonstration will start at Wood Quay, Dublin 2 (assembling at Cook Street) from 11am, for 12 noon set-off. The march will proceed along the Quays into O’Connell Street for a rally in front of the GPO to conclude at 2pm. 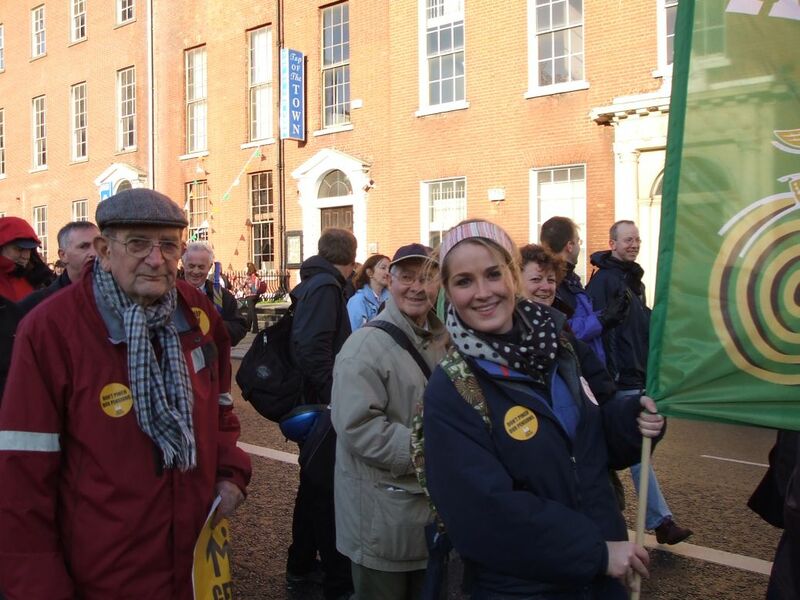 We ask our member organisations to get behind this campaign and show that Older People in Ireland will stand up for their rights and to protect pensions, health services, transport services, Older People at home and of course medical cards – remember our 2008 protest. Let’s bring all generations together – bring your children & grandchildren. We will have our Parliament banner – why don’t you bring along your own placards, posters & signs. Show your imagination with your slogans. Let’s see buggies, walking sticks and wheelchairs demonstrating in solidarity. Let us know if you will be taking part by e-mailing the ISCP office at seniors@iol.ie or by calling (01) 8561243. There is a better, fairer way.